Lincoln City, OR – Jedd Fly has accepted a promotion to Branch Manager for the Lincoln City office of Oregon Coast Bank. Fly first joined the Bank more than a year ago as a Loan Officer in the Newport Branch. During his time in Newport, he worked on both commercial and consumer loans. He has also taken on the role of Bank Security Officer. A native of Caldwell, Idaho, Fly earned an Associate’s Degree in General Studies at Brigham Young University – Idaho. Soon thereafter, Fly started his career in banking as a teller in January 2012. After working in the banking industry in Idaho for almost six years, Fly began to consider a change of location. When the opportunity to join Oregon Coast Bank arose, he was excited to become part of a locally owned bank. “It’s nice to know that I work for a community bank that actually works in and for its community,” remarked Fly. Jedd also says that he is looking forward to a long career as a banker on the Oregon Coast. Fly and his wife Katrina, reside in Lincoln City, where he is a member of the Scouts BSA’s Pack 47 Committee, Troop 47 Committee, and Kiwanis Club of Lincoln City. He is also the Advancement Coordinator and Charter Organization Representative for the Scouts. Overall, Jedd has enjoyed more than 26 years in Scouting. Fly also enjoys camping with his wife and three children, and generally being outdoors in the fresh air. 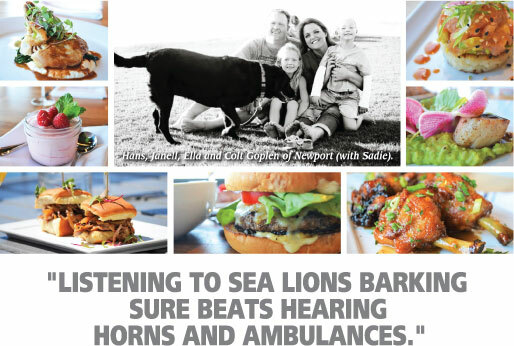 “Jedd has been a welcome addition to Oregon Coast Bank. When the position in Lincoln City came open unexpectedly, he stepped up to the challenge with no hesitation. He is aggressive in his desire to excel and he works hard to get out in the community and become a part of things,” commented Joe Postlewait, President of Oregon Coast Bank. Founded in 2002, Oregon Coast Bank is a locally owned and operated community institution with over $200 million in assets. The bank operates offices in Lincoln City, Newport, Toledo, Waldport, Pacific City, and Tillamook.